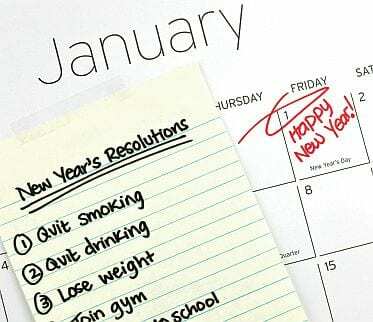 New Year resolutions are made to be followed, but many of us are not able to follow them especially high school students who hardly follow the New Year resolutions they make. Generally all the New Year’s Resolutions don’t last as they are very difficult to keep them up. To keep up the New Year resolutions the students should make such New Year resolutions that are easy to fallow. They should try to make resolutions that are related to their studies and make a small goal at first. If they are able to keep up this small goal, then they can make harder resolutions the next time. #1 – One of the first resolutions to be made is getting more sleep. It will improve their overall life and schedule. Sleeping on regular schedule times will make a better schedule all round. #2 – To improve the grades and to study more is another important resolution to be made. The students should try to work harder with their studies When you set a routine, then you can study with a schedule. You can make time for library, for writing goals, for reading the assignment before the class and attending class regularly will help to improve your study habits. #3 – Attending classes regularly and with attention is a very easy New Year resolution. The students who attend class regularly improve their grades automatically. Once the habit of attending class is formed, then you will be motivated to attend class regularly. #4 – Avoid the bad habits of drinking and drugs. To keep up this New Year resolution the student should avoid staying with friends after school. Many times when the students do not go home on time they get in bad company and develop bad habits. #5 – Active participation in sports and games in the school will help you to be active as well as healthy. Try to take part in any game of your interest and you will be a better person. #6 – Volunteering for social service is a great task to be done. You can volunteer to coach in any game or any subject to students of lower grades. Donating time and talent will certainly help you to improve your studies. #7 – Try to make a New Year Resolution of avoiding sitting at computer and chatting idly. Idle chatting with friend and strangers is one thing that takes lots of time. You can curtail the time you spend in social network sites and devote your time to studies. #8 – One very important resolution is to save some amount of pocket money. It will start a life long habit of savings. Following all the New Year Resolutions will make you study better.